This is an acrylic painting on canvas. The painting measures 10″x 8″. 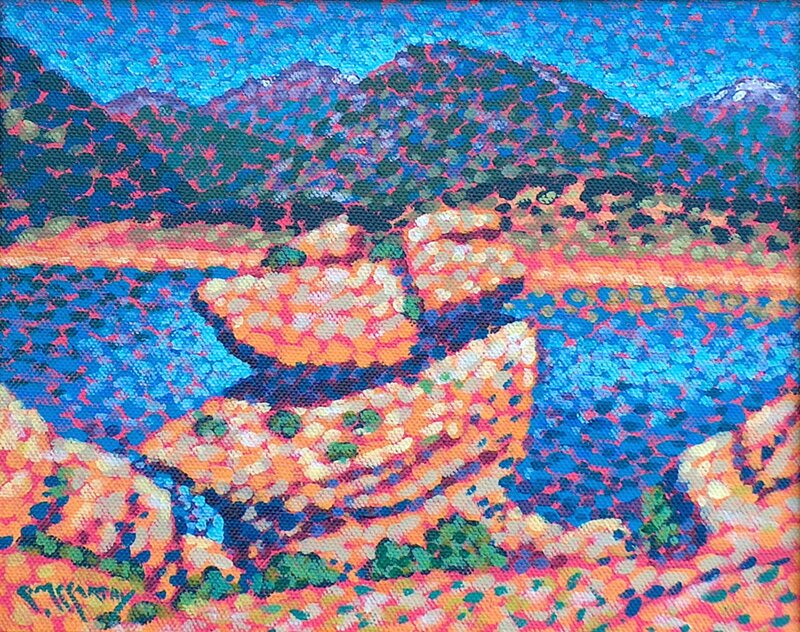 This pointillist painting depicts a lonely rock form, at the lakes edge, which I painted during a Plein Air Competition, in Estes Park, Colorado, just east of Rocky Mountain national Park. This pointillist painting is being sold unframed.